Morrone’s new album Lonely St. gets the listener thinking about life in all its highs and lows. But there is an upbeat feel that lets the listener know everything will be all right. It’s an uplifting album. 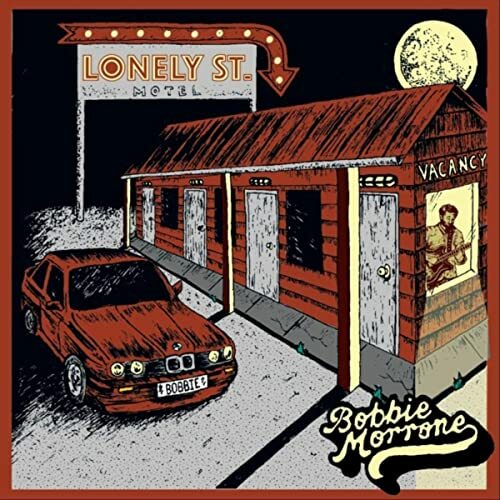 There’s a good diversity among the selections on Lonely St. and Morrone and his bandmates project a cool demeanor that disguises the excitement in the music. From beginning to end, Lonely St. keeps it interesting. “Behind The Walls” has a John Mayer sound to it with great harmonizing on the backing vocals. It’s got a fun mood despite the protagonist’s thoughts that he “should have walked away” from certain situations. “Get By” is a bluesy tone that’s almost reminiscent of a Rachael Price-type song with a not to urgent commercial sounding groove. There’s a nice fuzzy Bonnie Raitt style guitar and the song gives hope and tries to be positive.